The American Quarter Horse was the favorite of Wild West pioneers, Indian buffalo hunters, and cowboys. Though lacking the race track endurance of a Thoroughbred, the Quarter Horse can beat any other breed in short distance sprints — and has great maneuvering agility. 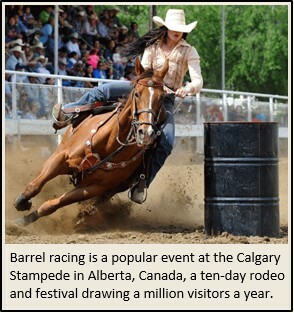 The combined power and agility of the Quarter Horse is ideal for the task of herding and roping cattle. In fact, when an experienced cowboy is the rider, man and beast are synchronized as the cowboy’s reins and muscle memory communicate to the horse in real-time. Likewise, in a large organization where hundreds of analytics users need access to operational data for their work, it’s ideal when those users get help from experts skilled in harnessing those big data workhorses. Well at TELUS’ Wireless Division in Toronto, that’s precisely the mission of Telemetry, a small band of data analytics “cowboys” who roam the organization — on a freelance basis — helping users: source multiple back-end databases; build tailored reports; and drive campaigns that answer strategic questions. I recently met Telemetry’s internal evangelist, Mange Kumarasamy at WeDo’s Americas Conference in Fort Lauderdale (FL). In our interview, Mange explains Telemetry’s innovative mission and gives details on how the Telemetry model can work at other large enterprises. Dan Baker, Editor, Black Swan: Mange, the Telemetry mission is very cool. How did you guys get started on this idea? Mange Kumarasamy: Dan, basically Telemetry was the vision of my Product Owner, Alex Rootham. 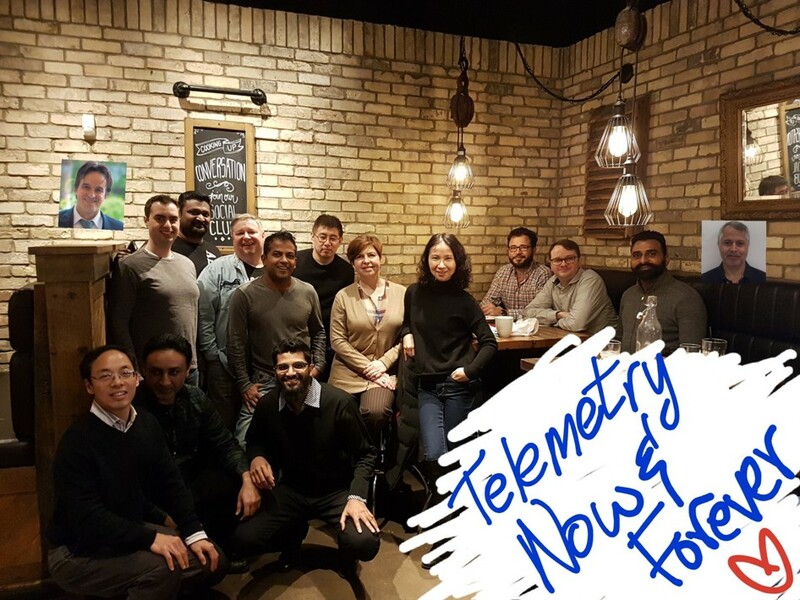 The idea was to staff a small technical team to enable TELUS users to more easily gain access and insights from our company’s internal operating and revenue data. Of course, in any large organization, the owners of data are rightfully protective of who gains access to their data. For example, our roaming revenue and sales commission data contain sensitive strategic and customer-private information. So even within TELUS, we must tightly restrict data access to only people who have a need to know. Now, while these tighter security controls are certainly necessary, they also make it much harder for executives, product managers, and network managers to gain access to the vital data intelligence they need to run the business effectively. So Telemetry is closing that data access gap. What are specific benefits internal users gain by getting Telemetry involved? Well, certainly getting access to the backend data is the main virtue: we insulate our users from having to interface with the data owners, saving them the hassle of submitting firewall requests and other paperwork. Basically, we’ve cultivated relationships with the key data owners in engineering, IT, and the corporate data warehouse. Privacy issues are also a big concern. In Canada, for example, there are lots of data storage regulations restricting use within the organization, so we manage such complex privacy issues in the background. And very often a use case requires access across two distinct private networks at TELUS — our engineering network and our local intranet network. Managing that dual access is tricky because people on our local intranet must have no access to the engineering network. But Telemetry makes life convenient for our users. We give them single sign-on access to the data. The employee simply logs in using whatever method they normally use — biometric, visual, or password. No new authentication method is required, making it convenient for the user to access their data analytics any time. 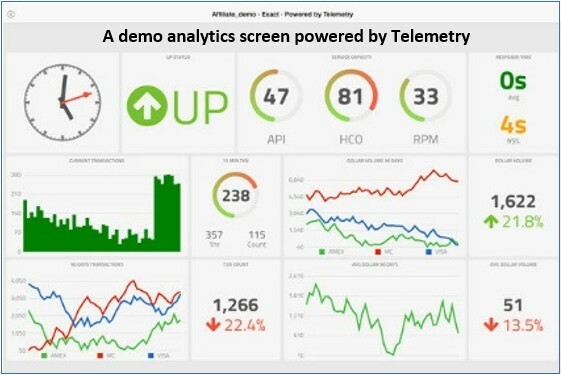 Now in addition to providing data access, Telemetry specializes in showcasing the data visually. We basically create the data visualization/reporting app that meets our client’s specific needs. And this is a big deal because it allows them to work with the data on a visually compelling interface that they can easily manipulate and spot the trends on. This basically replaces the practice of dumping data onto raw spreadsheets and having the user create her own charts. Sounds like a great time-saving service. A few years ago, there was a lot of discussion about “democratizing” data analytics or making it easier for users to design their own analytic apps. But taken to its extreme, that practice would certainly kill employee productivity. I like your approach better. So what tools and processes support Telemetry on the technical side? For a long time Alex searched for the best software platform to underpin Telemetry’s work. After trialing many tools, he settled on WeDo’s RAID. The beauty of RAID for us was it was more universal. In some environments, for example, the user is limited to looking at log data. With RAID, we connect to databases and fetch data to ensure nothing gets dropped and 100% accuracy is assured. RAID basically allows us to grab data, validate it from several angles, and then store the data locally as an exact copy. That allows us to frequently explore the data without having to constantly ping the original source, which in some cases is a live system sending traffic. We normally pick that data up at an offbeat time and store it locally and securely so the data owner is satisfied. Now to better manage our development work, Alex created a small team of people (employees and contractors) and we use Scrumban, an agile framework to drive weekly sprints of different features or source data to the departments who are our customers. Who are the users of your Telemetry service? It’s product people, revenue assurance (RA) people, mobile roaming people, and many other titles. We have about 300 users right now. One of our key goals, for example, is to become the main source of data and showcasing for the RA team. We also work with finance — and working with financial data is where it’s vital to be super accurate because the marketing teams use this to make critical decisions. Maybe users are doing churn analysis, figuring out how many customers we lost, number of customer complaints, and so forth. Well, this is a case where the “number of sales” doesn’t tell you very much. “Number of sales” is deceiving because even if you made a sale, somebody could deactivate the service right away. So, you need to convert all these events into actual revenue. I understand you’re now also involved in driving predictive analytics campaigns for users. What’s that about? Yes, we’ve graduated from driving reports, charts and graphs to the more complex task of digitally connecting the data to our customers based on predictive selections. Think about the problem of keeping your call center from getting a flood of calls where the analytics task is to predict what “call drivers” will create higher call volumes. Now one of those call drivers might be bill shock. Maybe you purchased a service on the 2nd, but got your bill on the 20th and don’t remember ordering something, so you contact the call center to inquire about it. Well, you’d like to avoid those unnecessary calls. So we build a predictive model using any customer information we have — usage, rate plan, customer’s location, frequency the customer calls, and other variables. Now after our service sends the messages out, we later measure the impact of our reach-out campaigns. Are they working? Are they having an upward or downward effect on revenue and the customer experience? Is our OPEX improving or declining? We measure all these things in the predictive application we create. Mange, you have an intriguing role as the kind of CMO of Telemetry. Tell us about that. Well once again, my Product Owner Alex, came up with the idea of having a person solely dedicated to selling Telemetry’s technical services internally. And it’s a good strategy. Telemetry’s got a “better mousetrap”, but that mousetrap still needs to be promoted and evangelized so we can grow our capabilities and increase our value to end users. Personally I’ve been at Telcos for 19 years doing mostly tech jobs, so this is a welcome change as I am naturally a people person. It’s a kind of sales job that I enjoy because it gives me the chance to talk with people and help folks out across the company. Mange, I’m impressed with this soup-to-nuts service Telemetry is providing. Enabling easier access to corporate data is valuable itself, but you’ve gone several steps further. It’s great stuff. Thanks, Dan. And we’ve only gotten started. These days we’re busy diversifying our portfolio of reporting/showcasing tools. Folks are asking for Domo, Tableau and Kibana support, for example. And while we operate in the wireless division of TELUS, we’re also reaching out to our wireline business. Our users are eager to gain access to the wireline data side because that’s where data on internet and TV service lives. Finally, we’ve remove the need for people to keep reinventing the wheel in data grabbing and presentation. So yes, it’s increasingly soup-to-nuts. We source the data, store it securely in a private network, and then showcase the data so people can visualize it, examine the nuances and outliers — and even drive predictive campaigns from it. Picture of the TELUS Telemetry team...click on it to see larger. Mange Kumarasamy is the Chief Marketing Officer of the Telemetry team at TELUS. He leverages a broad network of relationships inside TELUS and has a deep background in business, technology, communications, and IT focused organizations. As a Telecom Specialist he has 19+ years of experience in Sales, IT, Product Development and Engineering. Specialties include: Big Data, Networking, Wireless Expert, Building Trust and Relationships, Technical Discussions, Automation, Security & Fraud, eSIM, 5G, GSM, LTE,HSPA, MPLS, VPN, NFV, SDN, OSS, BSS, WAN, LAN, Internet/IP, Charging, Messaging, Data, Identity, SIM, M2M, OTA, APN, API, Linux, Oracle, Splunk, RAID, and MS.